The Lake County Board elected Sandy Hart (District 13) as its chairman and elected Mary Ross Cunningham (District 9) as its vice-chairman at its Dec. 3 meeting. Both are two-year terms. View the video of the chairman and vice-chairman elected at the County Board meeting. Hart has been on the board since 2012. Her district includes Lake Bluff, Wildwood, unincorporated Grayslake, and portions of North Chicago, Waukegan, Libertyville, and Gurnee. Mary Ross Cunningham has been on the board since 2002. Her district includes portions of Waukegan and North Chicago. Learn more about Chairman Hart and Vice-Chair Cunningham. Also at the meeting, 14 county board members were sworn into office. Seven members are new to the board and seven are returning members. Meet the Lake County Board members. At a special election on Monday, Dec. 3, the Board of Commissioners elected their new leaders, choosing Angelo Kyle of Waukegan (District 14) as President of the Lake County Forest Preserves. The Board also elected Julie Simpson of Vernon Hills (District 18) to serve as Vice President. Both will serve two-year terms, which end December 2020. There have been recent concerns regarding ethylene oxide emissions from two facilities in Lake County, Medline Industries in Waukegan and Vantage Specialty Chemicals in Gurnee. Residents seeking information about ethylene oxide in Lake County can find the latest updates at a webpage created by the U.S. Environmental Protection Agency. The U.S. EPA has been working with the Illinois EPA to examine emissions information from both the Medline and Vantage facilities to determine potential next steps. Questions and concerns should be sent via email to the U.S. EPA at eto@epa.gov. Did you know that you can look in on the road conditions from your computer or mobile device before you hit the roads? You have access to the PASSAGE cameras which means you can look at real-time snapshots from major intersections. Go to LakeCountyPASSAGE.com, turn on camera images in “Layer Options” at the top right, find intersections along your route, and check road conditions in each direction. Looking at the camera images before you leave allows you to see how weather is impacting the roads. This can help you make decisions about how early to leave and which routes to take. Which Roads Does LCDOT Plow? The Lake County Division of Transportation (LCDOT) plows Lake County highways, the ones marked with the five-sided blue and gold route markers such as Butterfield Road, Washington Street, and Buffalo Grove Road. View map of LCDOT snow routes. We do NOT plow state routes like IL Route 120 or IL Route 60. State routes are maintained by the Illinois Department of Transportation (IDOT). Safety Tip: Don’t Crowd the Plow Every year we ask drivers to remember to stay back when approaching a snow plow. This is for your safety, and the safety of our snow plow drivers. When visibility is low, and roads are potentially slippery, it is crucial to SLOW DOWN and STAY BACK! 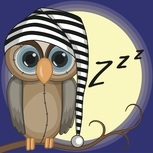 Watch now. Build an Emergency Kit for Your Vehicle You may have an emergency supplies kit for your home, but what about your vehicle? Make sure to keep a shovel, blankets, booster cables, and these other items in your car this winter. Tis the season to be in Lake County, which is home to a plethora of holiday festivities to fill yourself up with holiday cheer. Check Visit Lake County’s holiday guide to find events to enjoy with family and friends. Kudos To Our K-9 Team! 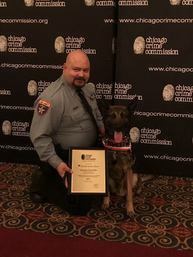 Lake County Sheriff's Office Deputy Kilpatrick and K-9 Boomer recently were awarded the Paws of Distinction Award by the Chicago Crime Commission. K-9 Boomer is a socialized K-9 trained for explosives detection. Deputy Kilpatrick and K-9 Boomer work closely with the FBI, local, state, college, and other federal agencies for EOD (explosive) sweeps at dignitary events and for crime scene sweeps and school safety sweeps, ensuring the safety of our schools. Deputy Kilpatrick and K-9 Boomer conduct daily patrols and EOD sweeps of the Lake County Court Complexes ensuring the safety of judges, staff, and the community. 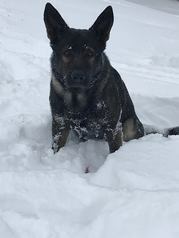 Sheriff's Office Deputy John Forlenza and his canine partner Dax recently helped to locate a missing, endangered woman in Antioch Township. Deputy Forlenza and K9 Dax conducted a track for the missing woman. Based on K9 Dax’s behavior, it appeared the woman was moving to different locations to avoid being located. After approximately one hour of tracking the woman, Dax located her. An ambulance was requested, and the woman was transported to a local hospital. Volunteer for the annual Homeless Point-in-Time (PIT) Homeless Count on Jan. 30, 2019. Each year, the Lake County Coalition for the Homeless holds the Point-in-Time Homeless Count where volunteers search across Lake County to interview and offer assistance to unsheltered people experiencing homelessness. The data gathered helps coordinate services for people experiencing homelessness and allows organizations to track progress toward the goal of ending homelessness. Apply to volunteer. The following shelters will be not be open for use through March 31, 2019: Greenbelt A, C, and D; Nippersink C and D; Van Patten B, C and D. In addition, the following parking lots will not be salted: Buffalo Creek, Cuba Marsh, Grant Woods – Rollins Road, Lake Carina, Lyons Woods, McDonald Woods, Pine Dunes, Prairie Wolf – Route 22 Lot, Raven Glen – Route 45 Lot, Raven Glen (West) – Route 173 Lot, Ray Lake, Singing Hills, and Sun Lake.